My home decor style has come a long way since I was clicking away with the scanner in Bed, Bath, and Beyond when Brandon and I set up our wedding registry. I’m sure I’m not the only one. I was going from my parent’s home directly to my newlywed apartment, and I knew nothing about decorating a home. Like, zero. Each room was decorated individually with no thought about the rest of the house. 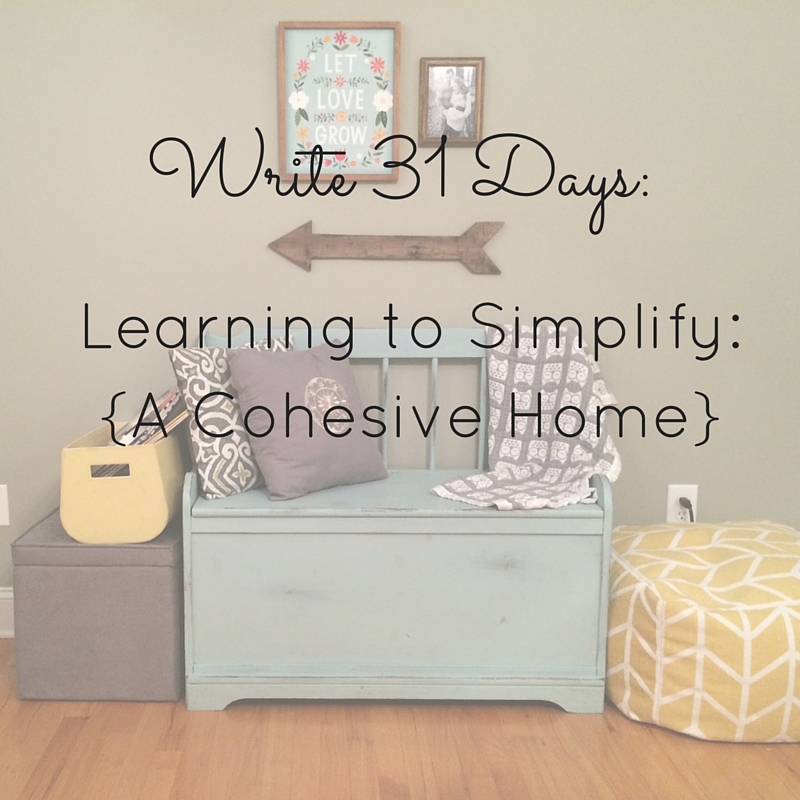 Several years ago when I began reading blogs, I really gravitated towards home design blogs. My mom introduced me to Young House Love and I finally started to understand how to build a space from a design perspective. John and Sherry of YHL are not trained interior design professionals, so it helped me realize anyone can create a beautiful, unique space that tells the story of their family. I don’t claim to have a perfectly styled home (nowhere near), but it IS cohesive and (in the process of being) simplified. Each room “talks” to the other. I can easily move pillows, lamps, tables, blankets, mirrors, and other accent pieces from room to room and they would work well in another space. The element I use the most to create cohesion is color. I learned that I am drawn to happy colors balanced by neutrals. Specifically, I love a cooler palette, reminiscent of the sea: aqua, teal, mint green, sage green, and blue-grey. My favorite neutrals are light and dark grey, and the combo of black and white used sparingly. I also add in small pops of coral, peach, and yellow. Most of these colors show up in my accent pieces while my furniture basics are neutral. 1) Shopping. I don’t ever have to wonder if something will work in my home – either it fits in the template or it doesn’t. I also buy less “filler” stuff – only things that really contribute to the overall feeling and style of my home. Think about some ways you can begin to create common threads throughout your home. Can you “shop your home” in it’s current state? Or would the pieces from one room clash with another? Start with just one room and think about each element in the space. Decide which pieces are just fillers and which ones contribute to the room.